Dashenka was an interesting character to use to tell Xenia's story. "Dasha" was a girl who did not always do as she was told, namely teaching herslef to read against her family's wishes. I think a bit of her rebelliousness lended to her ability to be Xenia's best friend throughout life. (I cannot tell you if she is based on a real person or not. I tend to suspend disbelief in most historical fiction and take things at face value, so as to not disrupt my enjoyment of the story.) Dasha grows up with Xenia and Nadya, and she is taken out into society at the same time as the other girls to save money and take advantage of the celebrations of German princess Catherine being wed to Grand Duke Peter. Because of this, Dasha has a first row seat to the progression of Xenia's relationship with Andrei Feodorovich. It was clear on every page how much Dasha loved Xenia, as she always allowed Xenia her quirks and never truly tried to change her, even when times were rough. Xenia is a figure that was intriguing and heartbreaking. In her marriage to Andrei, she was spoiled by his position in court and his love for her. He learned of her "otherness" early in the story and carried on with her regardless. Andrei bought her anything that she showed interest in because he loved to make her happy. Upon his sudden and very unexpected death, she went over the brink and became the crazy woman who doted on the poor that she is known for. It makes me wonder if her determination to give away all of her possessions and wealth to others comes from her wishing to atone for delight of material things while her husband lived. 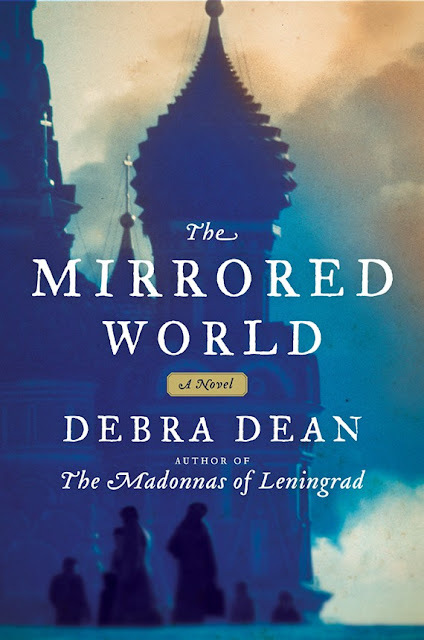 While I enjoyed reading about the two women and other characters in The Mirrored World, I was never able to really connect with either of them. I pitied them when they suffered losses and found myself laughing out loud at one point in the book, but I read the story almost as I would a history lesson. Yes, it was interesting and engaging, but these were just two women living their lives in Russia. There were many historical references throughout The Mirrored World, which helped me with the progression of the story. Though I was unfamiliar with Xenia, I was well aware of many of the events mentioned. I was able to keep track of the years, even when they were not offered in the story. The time frame of The Mirrored World went across three empresses of Russia, and the brief reign of Peter III. Various wars are mentioned, but the novel mainly focuses on Xenia's transformation into the saintly figure. The Mirrored World was a good book and kept my interest, but I lacked that connection with the characters. I sympathized with both Xenia's and Dasha's losses throughout the book, but I did not feel pulled into their lives. However, the historical portion of the novel and the beautiful writing style made up for it, and I will be reading more novels from Dean. 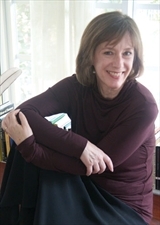 A native of Seattle, Debra Dean worked as an actor in New York for nearly a decade before becoming a writer. She lives in Miami and teaches in the creative writing program at Florida International University. Connect with Debra on Facebook. I'm glad you enjoyed the historical setting in this story. Thanks for being on the tour.